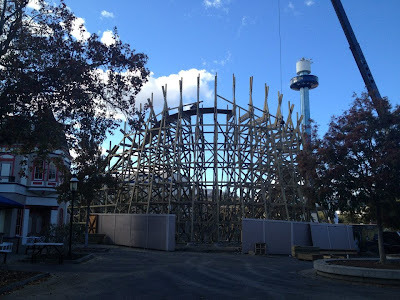 Thrills by the Bay: Friday Update! 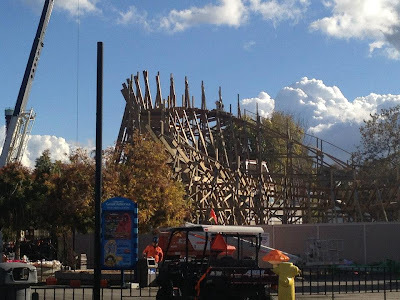 California's Great America has posted some more photos here of Gold Striker's latest progress. The midway turn is taking shape and as you will see, the banking looks pretty intense! 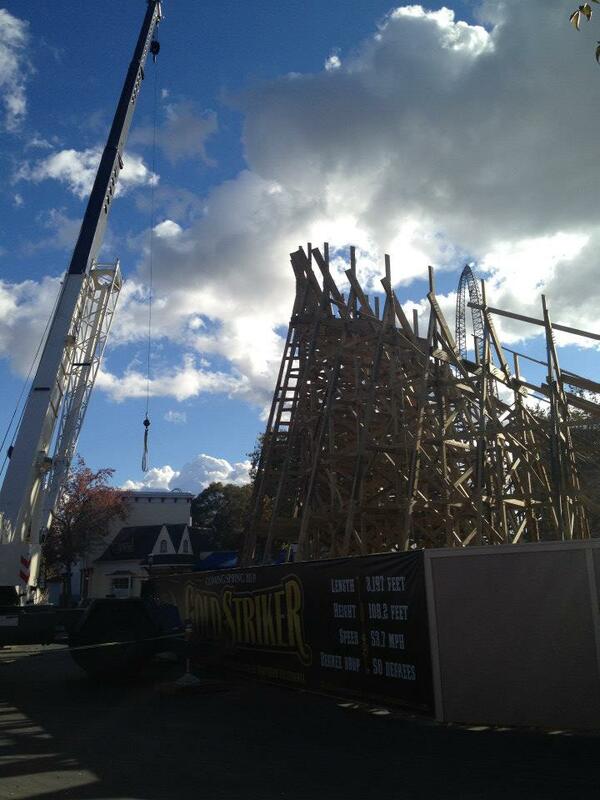 Despite the cold, nasty weather, Gold Striker's looking quite nice! 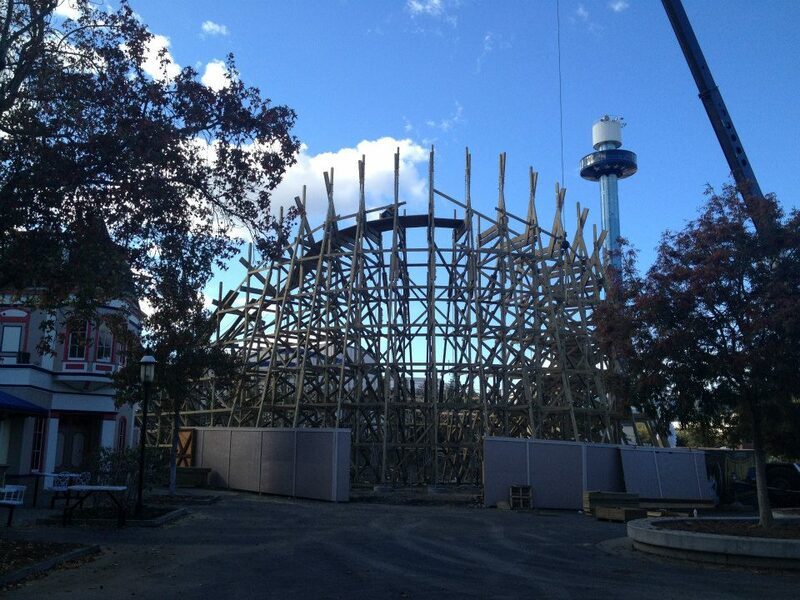 Stay tuned for more off-season updates!